Sarajevo, November 26 – The BiH Constitutional Court confirmed that the Republika Srpska Law on Holidays is not in line with the BiH Constitution and ordered the Republika Srpska Parliament to harmonise it with the Constitution six months after the decision is forwarded to it. The BiH Constitutional Court has ordered the Republika Srpska Parliament to harmonise Article 3b) of the Law on Holidays with the BiH Constitution within six months after the receipt of this decision and to inform the BiH Constitutional Court of measures it undertook with the aim of executing this decision, says the Constitutional Court. The BiH Constitutional Court again emphasises that this decision in no way calls into the question the right of BiH citizens, Orthodox faithful/or a similar right of citizens of any other religious community/ to freely celebrate their holidays, including Patron St.’s Day of Holy Archdeacon Stephan, in a traditional or some other appropriate way. According to the Constitutional Court, such freedoms and rights, particularly their free exercise, only confirm multiconfessional and multicultural character of BiH as a country and society, which is why this decision of the BiH Constitutional Court in that context cannot be interpreted in any other way. 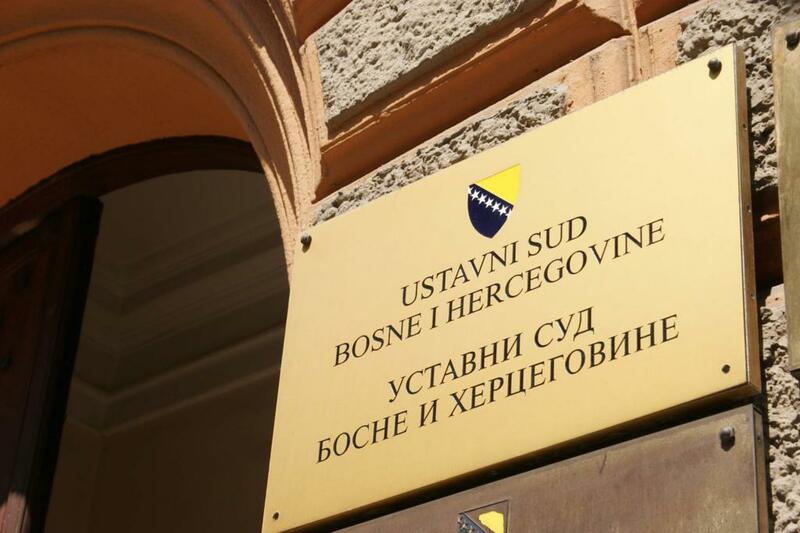 At Izetbegovic’s request, the BiH Constitutional Court has halted the procedure for assessment of the constitutionality of Article 2b) of the Republika Srpska Law on Holidays. The Declaration says that challenging provisions of the Republika Srpska Law on Holidays before the BiH Constitutional Court is an exclusively political act and not a legally-based act, the covert goal of which is to negate the legality and legitimacy of Republika Srpska and the Dayton constitutional and legal order of BiH.